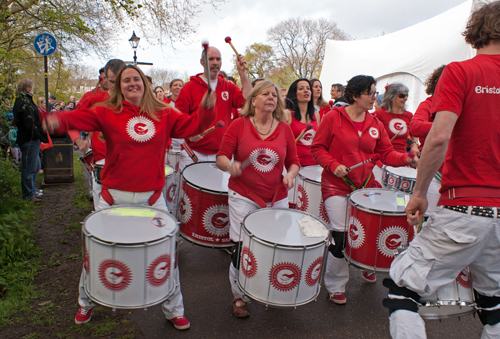 MAKE a date in your diary for the ever-popular, annual Redland May Fair which returns once more on Mayday - Monday May 1, filling Redland Green with music, games, stalls and a whole host of fun. It will be the 41st year the event has been held and committee chair, Julie Hart, has been the chief organiser for the past five years. The community event includes the church, Redland Green Bowling Club, the tennis club, the allotments, Redland Green Community Association and lots of other local associations too. Julie Hart said: “We have over 100 stalls, all sorts of different foods, entertainment including Bristol Samba Band, the Ambling Band, children’s games, a maypole and morris dancing. We have something for everybody throughout the whole afternoon and there is a lovely atmosphere. Redland May Fair runs from 1 - 5pm and is free for all to enter. Julie said: “ A couple of years ago we decided to have a bucket collection for charity as it is a free event. Our charity is Caring in Bristol which helps the destitute and homeless. We have people collecting on the four entrances of the Green and hope that people would like to donate something from the charity so that someone else can benefit from the event. Look out for the cream teas and cake on offer in the recently renovated halls of Redland Green Church and for taster sessions at Redland Tennis Club and the Bowls Club. Plants, preserves and a host of stalls selling clothes, toys, jewellery and books will be there.